So, a couple of months ago, the girls at my work were chatting about lip scrubs. 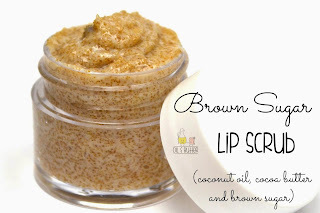 I’m not familiar with lip scrubs - I’ve never used one…but with me being the do-it-yourself(er?) that I am – I immediately offered to try to create one for them. 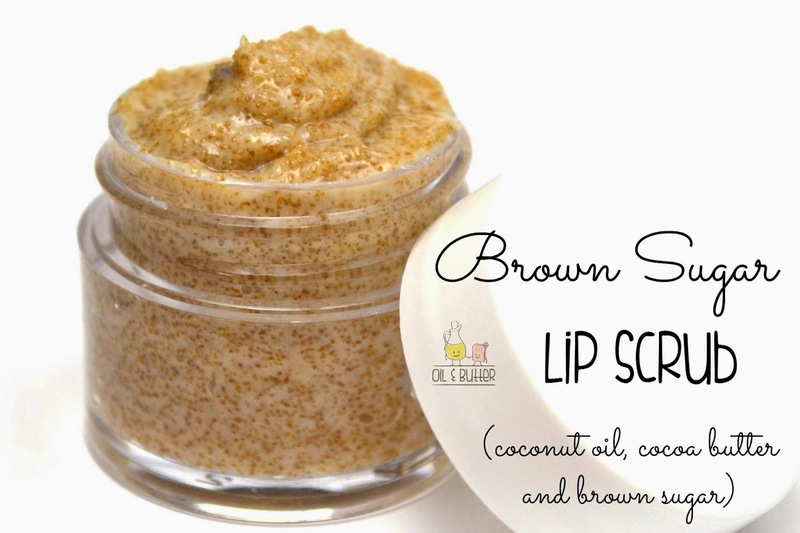 It took me a bit of experimenting to get a consistency that I liked, and in the end a 1:1:1 ratio of cocoa butter, coconut oil and brown sugar ended up being what I pictured the perfect lip scrub to be - a creamy and soothing blend that exfoliates but also moisturizes. I took some samples into work and received an enthusiastic stamp of approval from my co-workers, so I thought I would share the recipe here with you! Melt the cocoa butter in a microwave safe dish. Add the coconut oil and stir until the coconut oil has melted into the cocoa butter. Cool the butter mixture for 15 minute intervals in the fridge, until semi solid and creamy when mixed together. Stir in the brown sugar and add the recommended amount of flavor oil (if using), and package into lip pots. Let cool thoroughly before putting the lids on. You can lower the amount of cocoa butter if you like a thinner scrub. You can also substitute white sugar (you may find it less exfoliating). If you over-chill the butter mixture while you are making it, you can soften it in the microwave for just 10 seconds, until it is soft and creamy again. You could definitely experiment with adding liquid oils, such as avocado or sweet almond oil - I liked a firmer texture, and that is why I chose to stick to a harder oil and butter. 3 Researches PROVE How Coconut Oil Kills Belly Fat. We are best commodity tips provider because our natural gas tips yields high profit.our natural gas tips are low risk commodity tips.we also provides pre inventory natural gas tips and post inventory natural gas tips with high accuracy.